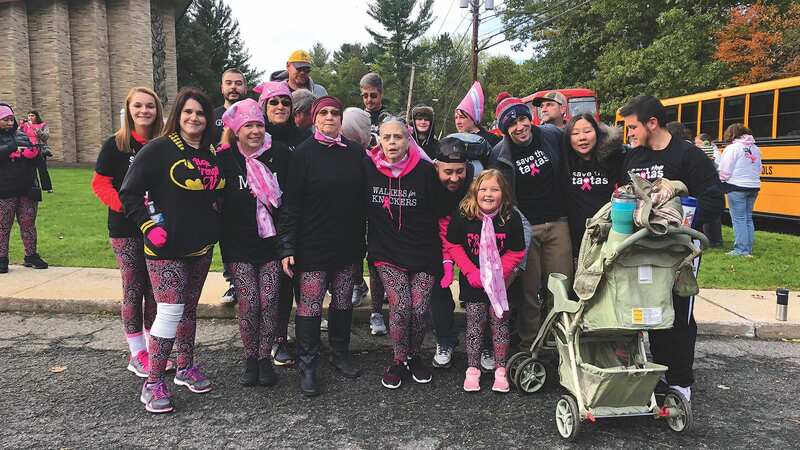 The 25th Rays of Hope Walk & Run Toward the Cure of Breast Cancer drew about 25,000 people to Forest Park in Springfield on Oct. 21 to raise money and awareness for the fight against breast cancer, as well as supporting survivors and remembering loved ones they’ve lost. 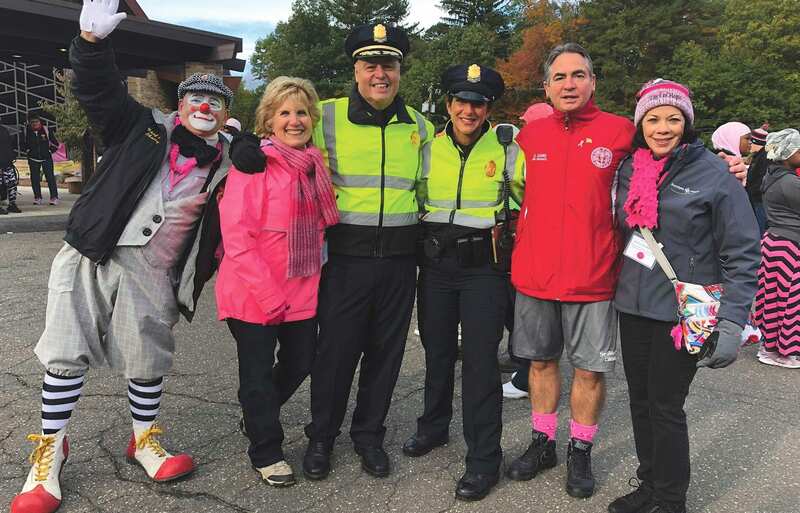 The program, launched in 1994 by Lucy Giuggio Carvalho has raised almost $15 million over its history for research, treatment, equipment, breast-health programs, outreach, and education — all of it local — as well as providing grants to various community programs throughout Western Mass. 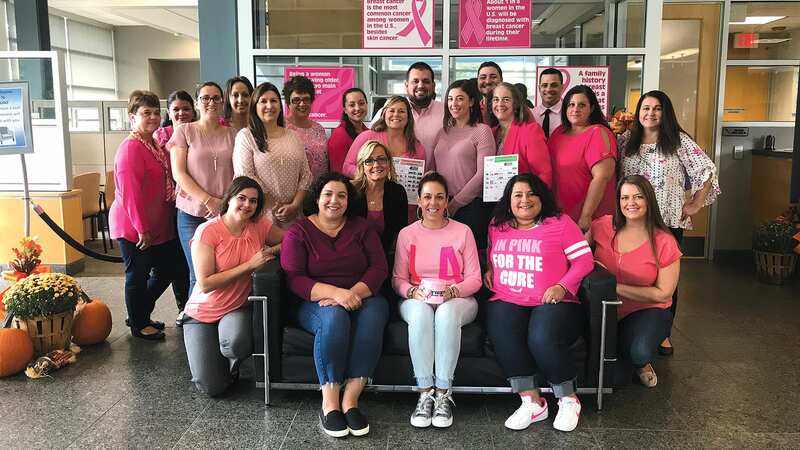 LUSO Federal Credit Union in Ludlow and Wilbraham celebrated a “Pink Day” recently to raise awareness for breast cancer. 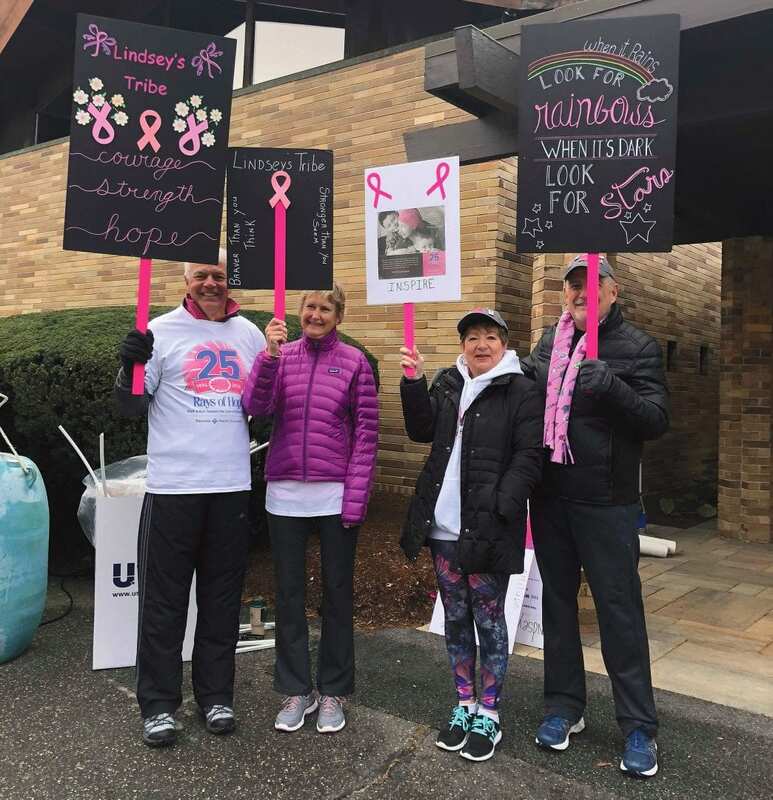 The local, nonprofit community credit union is raising money to benefit Rays of Hope and the Pink W.A.Y. through calendar raffles for the months of November and December. Suggested donation is $10 (for one) or $15 (for two). To learn more, visit www.lusofederal.com. 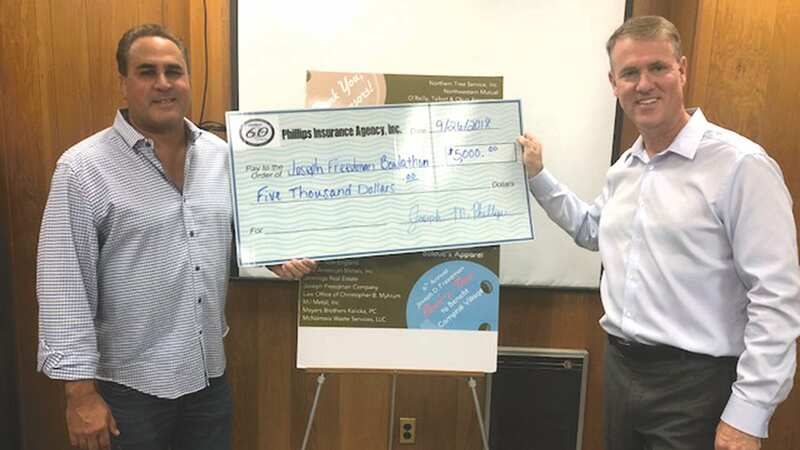 Joe Phillips, right, president of Phillips Insurance Agency Inc., presents a $5,000 check to John Freedman, president of Joseph Freedman Company, for the seventh annual Joseph Freedman Bowl-a-thon being held Nov. 7 at AMF lanes in Chicopee. The proceeds go to Camphill Village, a community for adults with developmental disabilities who live together and work together caring for each other. 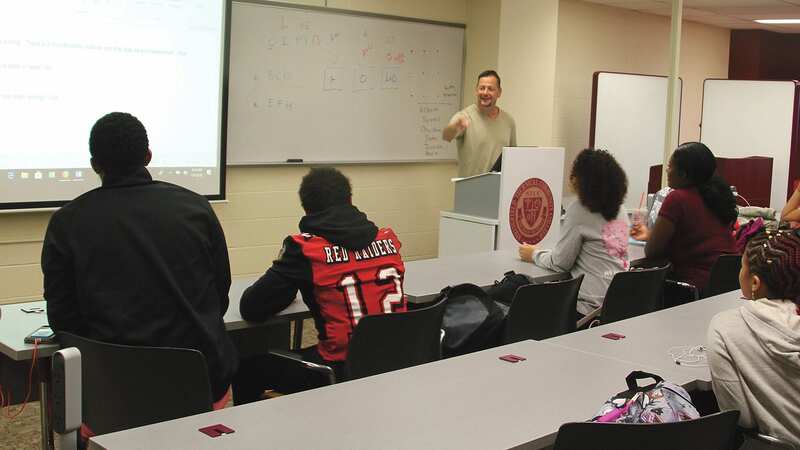 Brian Candido, professor and program chair for Springfield Technical Community College’s Computer Information Technologies program, leads a class involving students from Springfield’s Commerce High School. The college welcomed more than 40 students from Commerce this fall as part of a program, created in collaboration with the Springfield Empowerment Zone Partnership, to enable high-school students to take college-level classes. 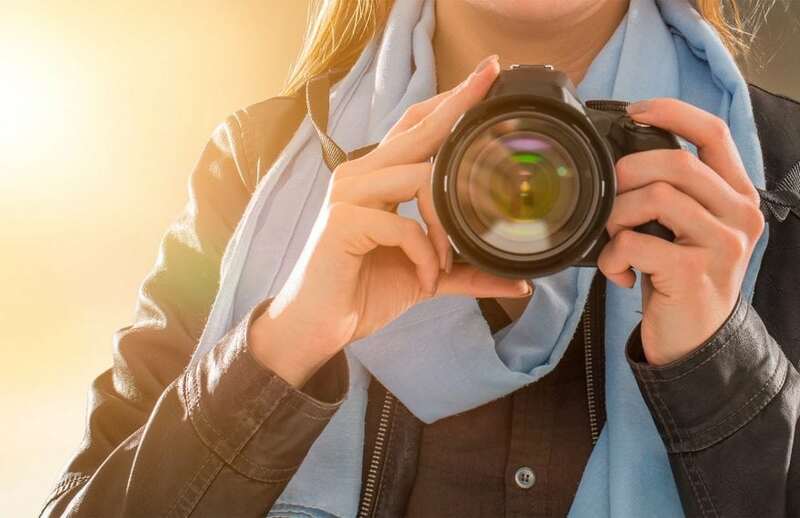 Students attending STCC can choose between courses in mobile app programming, computer basics, and airbrushing techniques.